Toddlers love having fun in and around water. 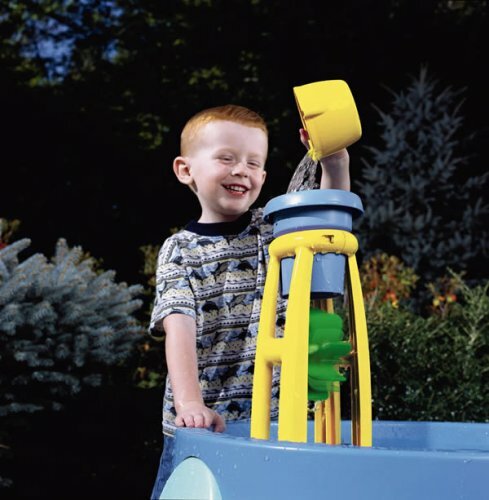 These kids outdoor water toys are some fun choices for toddlers. Inflatable pools with colorful activities, fun sprinklers to cool them down and, of course, water tables in fun and playful themes. It’s time to get your backyard summer ready. A couple of good water activities will keep your toddlers happy outside all summer long. Here is a great and affordable selection of water toys to get your summer started. 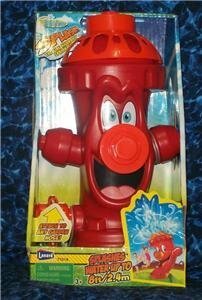 Here is a colorful and fun fire hydrant sprinkler that can splash and spray water up to eight feet. It stands about 8″ tall and attaches to any garden hose for some cheap fun that will keep the toddlers happy, cool and wet. 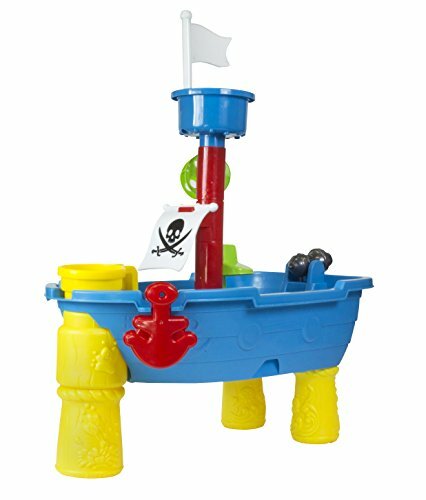 Land and sea activities for little pirates. Water table is shaped like a pirate ship that has a water sprinkler and some moving water wheels. Great for social interaction and role play with friends. Accessories like, shovel, pail and skull and crossbones sand mold make this into a multi-purpose activity center for the toddlers. Great for the backyard and easy enough to bring to the beach. 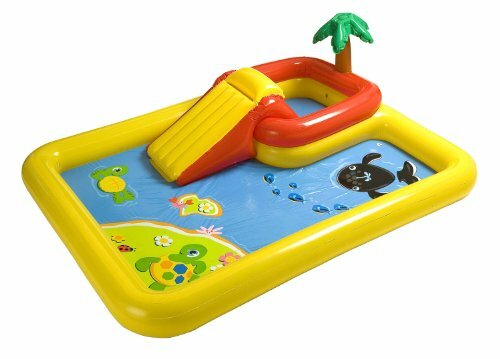 This is a great and easy to set up inflatable pool for toddlers 2 years and up. It includes a small water slide, a small wading pool and a larger wading pool. The fun bright colors along with inflatable whale, turtle and ring toss game will keep them going all summer. Add a garden hose for the built in spraying feature with a control valve to adjust the water flow. 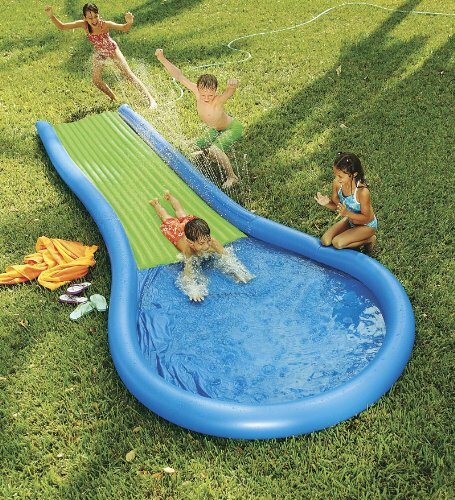 Totally affordable way to keep the kids cool and having fun for hours everyday in the sun. Get a couple of these water hoses and let the fun begin. The backpack holds up to a litre of water and lasts up to 60 squirts with a fill up. 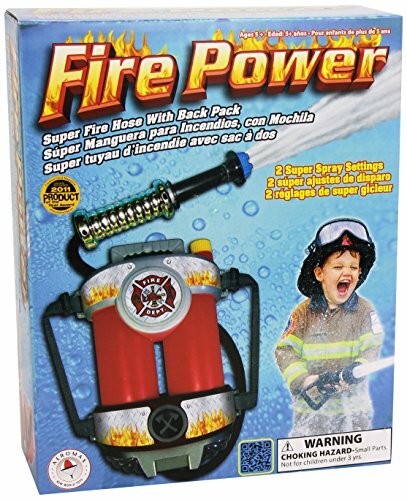 Water fights and fireman role play are the great features of this toy. The kids will be running around getting exercise all day. Shoots water up to 35 feet. Don’t forget to get one for each kid. Hearthsong makes great toys and this inflatable water slide is no exception.It is a heavy duty vinyl slide suitable for ages four and up. Simply attach the garden hose and start sliding. Run, jump and slide is all you have to do all summer. I wish adult life was that simple. Kids, exercise and water is the recipe for fun in your backyard this summer. This is a fun toy that is designed for role play. It’s a whole construction type set up with a 360 degree rotating crane and a water way with boats to load. It also has a sand pit and includes a flat bed truck designed to hold the cargo units. 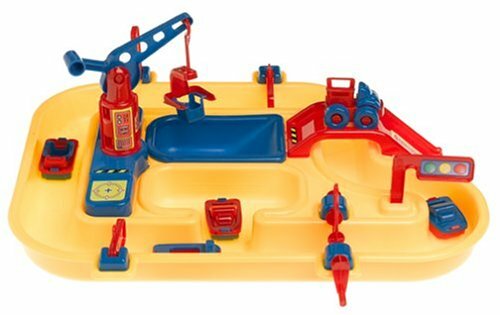 Lots of creative ways to use this toy inside and in the backyard. Separate molded sections allow creativity to create moats, lakes, canals and harbors. Elevated table design keeps kids up and out of the dirt for cleaner play. Funnel the water over the spinning wheel and create your own games with the boats, cup and water wheel. Good creative fun with water on a summers day in the backyard.